Texas Christian University Military Band, 32 members including members of the local community, TCU professors and Charles’ 16 year-old brother Bedford Kirkpatrick. In 1906 Mr. and Mrs. Willis C. Hunter joined the faculty of TCU. Mr. Hunter graduated from the New England Conservatory of Music in 1904 and taught Violin and Music Theory in addition to his duties as directors of bands and orchestra. On March 22, 1910 fire spread through the main building on the campus of TCU in Waco, TX. Among the property destroyed in the fire were nine upright pianos, one grand piano, a pipe organ, W. T. Hamner’s (director of the TCU glee club) music library and every classroom on campus. The need to relocate classes took over every square inch of the remaining buildings including the music rooms, and so the band would lay dormant while TCU found a new home. Since the band program at TCU was displaced by the fire of 1910 a TCU medical student, B. A. Kirkpatrick, brother of TCU’s first band director Charles Kirkpatrick, gathered a group of medical students and undergrads to form a group for the sole purpose of playing at the cornerstone laying ceremony for the new administration building (now called Reed Hall). Fredrick Cahoon, like Willis C. Hunter, was a violinist and director of both the orchestra and the university band. During his term as director of the band, the group’s membership was only 13. Organized regular rehearsals. Began regular performances. In 1925, with the help of Amon G. Carter and the Washer Bros. Purchased the first official band uniforms (purple with white trim). The first band president, Lt. Clinton Hackney, and the first band sweetheart, Miss Sarah Hall Williams, were chosen. Chairman of Music Department, orchestra director, then band director. Wrote TCU Fight Song in 1928. Band grew to 41 members and traveled with the football team to each away game. Was invited to play at the Fort Worth Stock Show and Exhibition, a tradition carried on today. Was a student of Claude Sammis and immediately upon graduation in the spring of 1935 became band director. Circa 1934/35 “Swing Era” began with such notables as Glen Miller, Tommy Dorsey, Benny Goodman, Artie Shaw, and others leading the way, nationally Dr. Gillis was an outstanding composer/arranger. Arranged all popular tunes of the day ala swing which really put the TCU Band on the map. Established the 60 piece all-male marching band which was a tradition until the early 50’s, which was also about the time females began to be included. Gillis went on to even greater heights in New York as one of NBC’s music directors. He was right hand man to the immortal Arturo Toscanini, the conductor of famous NBC Symphony Orchestra. Amon G. Carter was a great benefactor of the band. Mr. Carter bought various instruments for the band, and he literally sent the band wherever the football team went. Since this was long before the advent of airline travel, Mr. Carter would charter trains with Pullman cars for the band and football team. Occasionally, as the band boarded the train, Mr. Carter met them with one of his specially designed Shady Oaks Stetson hats, and a $20 bill with the promise, “And there’s more where that came from, Boys! Have a good time!” One such trip was to New York’s Madison Square Garden. The crowd enjoyed the band so much that when the game was over, the band went out on the field to give a little post-game concert, the entire audience remained and kept them playing for more than an hour. Band was made up largely of veterans of WWII who were nearly impossible to control. One year, after the Fort Worth Fat Stock Show Parade, the band guys somehow acquired a big white horse. They then proceeded to ride the horse through the old Administration Building marching behind it and jamming to “Onward Christian Soldiers.” Another year the football team and band went by train to Kansas City for the University of Kansas game. A large rain storm came just after the game had started. Part of the band’s show that day was to spell out “HELLO” on the field. The drum major took the band behind the stadium during the 2nd quarter and changed the show just slightly. First they spelled “O HELL”, and then the “O” ran to the other end of the formation spelling “HELLO”. Jacobsen’s first year, TCU won the Southwest Conference and went to the Cotton Bowl. The band, however, was not up to the same standard as the football team. By Dr. Jacobsen’s the third year the band was quite good and made band history by introducing a new marching technique called “Peel-offs” or “Moving Diamond Drills.” The original “Moving Diamond Drill” was done on national television twice in 1958, including the Cotton Bowl. Over the years this technique has became a staple of marching bands and is still widely used nationally. There was significant growth in size and ability of the concert band. Francis is beginning his thirteenth year as Director of Bands. 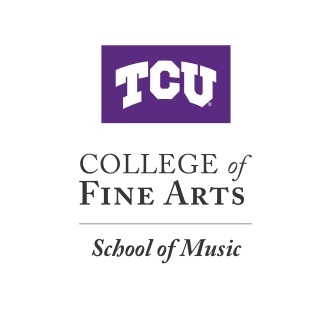 ~ The TCU Symphonic Band selected to perform at CBDNA Regional conference in March 2014. This is the only “second band” selected to perform at this conference. All other performing groups are the top ensembles at their respective universities. ~ Guest composers such as Michael Colgrass, David Maslanka, Frank Ticheli, Eric Ewazen, John Mackey, Christopher Tucker, Arturo Rodriquez, Till Meyn, Samuel Zyman, Robert Garwell and Curtis Wilson. ~ Guest conductors including John Whitwell, Gary Green, James Keene, Ray Lichtenwalter, Jay Gephart, Curt Wilson, Tim Reynish, and Mark Fonder. ~ In December 2010, the band honored an invitation to perform at the Havana Jazz Festival, the first such invitation for an American Collegiate Jazz Ensemble in over 50 years. ~ They have performed with guest solosits including Wayne Bergeron, Andy Martin, SMSgt Joe Jackson, Jon Faddis, Shelton Berg, Howard Johnson, Tony Campise, Mario Cruz, The Four Freshmen, Mike Vax, Morris Repass, Mark Taylor, Cedar Walton Quartet, Gary Whitman, Joe Eckert, and Patrick Williams.